Being a Fellow of the Chattanooga Bar Foundation is an honor. To be invited by one’s peers to become a Fellow, an attorney must have an outstanding record of service to both the Chattanooga Bar Association and the broader community. Therefore, it is recognition of one’s commitment to both. Being a Fellow of the CFB is also more than an honor – it is a responsibility. As a group, the Fellows work to improve the study of law and the administration of justice, elevate the ethical standards of the bench and bar, improve relations between the members of the legal profession and the public, help lawyers who are ill, award scholarships and provide funds for charitable causes. Therefore, it is no small honor or responsibility to be a Fellow. Yet each year, when the CBF invites a select few Chattanooga-area attorneys to join the ranks of the local Fellows, they answer the call. Joining means making a financial donation to the organization as well as taking it upon one’s self to attend to the matters with which the Fellows concern themselves. Bobby Dann earned a degree in history from Georgia Southern University and his Juris Doctor degree from Wake Forest. He spent his first 15 years of law practice as in-house investment counsel for the Integon group of insurance companies in Winston-Salem, North Carolina. He moved to Chattanooga in 1996, where he established a small title insurance agency and then joined Miller & Martin in 1998. At Miller & Martin, Dann has served at different times as practice group leader for the real estate, commercial finance and sustainability practice groups and as department chair for the commercial department. Dann has represented lenders, borrowers, developers and investors in a multitude of commercial real estate and business transactions. 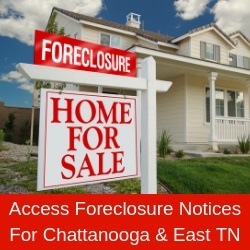 In addition, he has served on the Tennessee Bar Association’s CLE committee and presented several CLE courses, including an online interactive session for basic real estate issues in Tennessee. Dann is a member of The Church of the Good Shepherd on Lookout Mountain. He has also been a member of the Downtown Kiwanis Club, where he has served on the board and as a past president, for over 20 years. Through Kiwanis, Dann has led the construction and refurbishment of playgrounds at Rivermont Elementary School, Orange Grove Center and East Lake Elementary School and this year’s effort to build a one-mile fitness trail at Howard School. Dann has served on the board and as a past president of the Chattanooga Area Swim League and is a current member of the board of the Lookout Mountain Conservancy. Dann also has been an active adult volunteer for Boy Scouts for more than 20 years, serving in various roles for Troop 191 at Lookout Mountain Presbyterian Church, including scoutmaster and committee chair. All three of his sons achieved Eagle Scout. Dann and his wife, Anne, are the proud parents of one daughter (a graduate of GPS and the US Naval Academy, who just left active service after nine years as a Navy helicopter pilot) and three sons (all graduates of McCallie School, and one of which also graduated from the US Naval Academy and is currently a Navy test pilot for the F-18 Super Hornet). Professional memberships include the Chattanooga and American Bar Associations. McCarthy graduated with degree in political science from the University of Tennessee at Chattanooga in 1978. She served as business manager and editor of The University Echo, the weekly student newspaper, and on the university’s student council. In 1978, McCarthy was awarded a Chapin-Thomas full scholarship funded by the Benwood Foundation to the University of Cincinnati School of Law. McCarthy graduated from the University of Cincinnati College of Law, where she served as editor of the student newspaper, Res Judicata, in 1981. She then began practice with the firm of Luther, Anderson, Cleary & Ruth, where she was a partner from 1985 to 1995. In 1987, McCarthy founded, and along with Ardena Garth co-chaired, the Hamilton County Regional Mock Trial in the High Schools competition. She later served as coach to various mock trial teams including Red Bank High School, Central High School and the Home School teams. In 1982, McCarthy earned her private pilot license. She no longer flies but recalls those days of freedom with great fondness. McCarthy was a charter member of Tennessee Lawyer’s Association for Women and served as its president in 1993-94. In 1995, McCarthy and Richard Ruth, Jr., formed the law firm of Ruth & McCarthy, P.C. to focus on first party insurance fraud cases as well as insurance defense cases. This firm later was known as Ruth, McCarthy & Coleman, P.C. and then Ruth, McCarthy & Murphy, P.C. McCarthy has served as a member of the Chattanooga Bar Association Memorial Committee since 1995, serving as its chair from 2012 to the present. She also served on the Fee Arbitration Committee beginning in 1988, serving as its chair from 1991-1993. McCarthy has served periodically as a member of the Hamilton County Democratic Party Executive Committee. She is a founding member of the Justices Ray L. Brock, Jr.-Robert E. Cooper Inn of Court in Chattanooga, serving as its treasurer for three years. Presently, McCarthy is a member of the law firm of McCarthy, Murphy and Preslar, P.C., where for the past 17 years she has concentrated on representing disabled individuals applying for Social Security disability benefits. Learning to scuba dive in 1987 led McCarthy to meet the love of her life, Robert Mottice, at the Tennessee Aquarium in 1993. He is a veteran marine biologist at the Tennessee Aquarium and she was a volunteer scuba diver. McCarthy and Mottice married in 1994 and have enjoyed traveling to such diving meccas as The Great Barrier Reef in Australia, Palau in the South Pacific, the Maldives in the Indian Ocean, the Galapagos Islands and Cocos Island off of Costa Rica in the Pacific Island. McCarthy taught as an assistant instructor and then full instructor of scuba diving at Southern Adventist University from 1987 to 2015 and also taught at Cleveland State Community College and the University of Tennessee at Chattanooga from 1999 to 2006. McCarthy and her husband live in Collegedale but have plans to buy a recreational vehicle and travel the United States during their retirement years. Josh Powers was born and raised in Chattanooga. His father was Judge John Y. Powers. Powers graduated from McCallie in 1978 and Rhodes College in 1982. Following college, Powers taught English in the Peace Corps in the Kingdom of Tonga for two-and-a-half years. After working for Coca-Cola in Atlanta and New York City, he attended law school at the University of Memphis, from which he graduated in 1992. Powers returned to Chattanooga with his wife, Katherine, and two daughters, Madison and Audrey. Powers has been a shareholder at Baker Donelson since 2003. Much of his practice focuses on healthcare, professional liability and commercial litigation. Powers a member of St. Timothy’s Episcopal Church on Signal Mountain. Powers says it is a high honor to be selected as a Fellow in the Chattanooga Bar because it’s an invitation based on a vote of his peers.